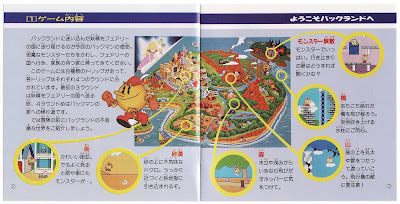 I've said it before--or at least I've suggested it before, such as in this recent post--but it's worth repeating: Pac-Land doesn't get enough love. That's not to say there aren't reasons for that lack of affection and attention. 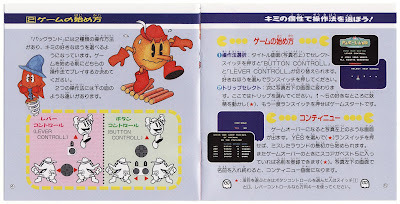 After all, the 1990 TurboGrafx-16 port of this Namco-made Pac-Man platformer, originally released in the arcades five years earlier, was roundly ignored on this side of the pond. The TG-16's dearth of sales had a lot to do with that, of course, as did the game's age by that time. 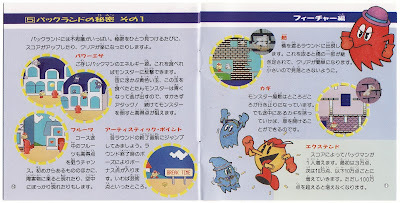 Also, Pac-Land in any form could be described as antiquated, difficult and repetitive. Still, I think it has just enough positive attributes to be worth checking out if you're a fan of the genre. 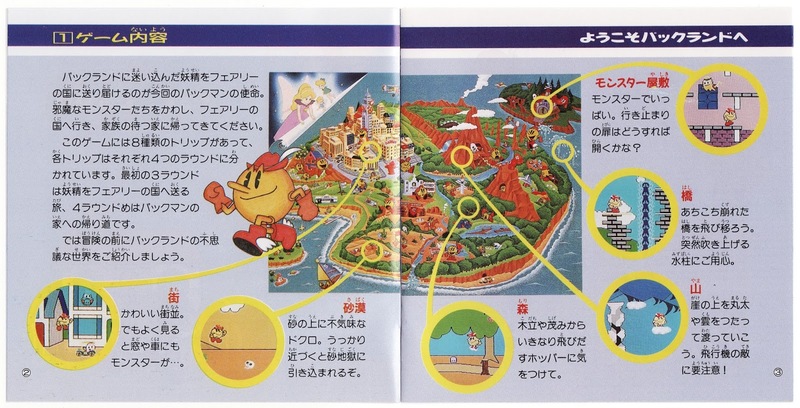 The main ones: its graphics, which look like something pulled from a Saturday morning cartoon, and its infectious soundtrack. 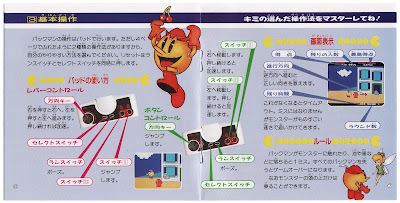 It also has a pretty great instruction manual, as you'll see if you continue scrolling through this write-up. 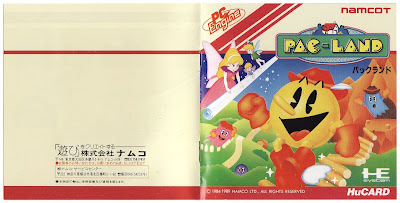 Granted, that's not going to help you enjoy playing the PC Engine version of Pac-Land, but it should help you feel better about owning a copy (if you happen to buy one, that is). The highlight of Pac-Land's booklet, in my humble opinion: its abundance of color. 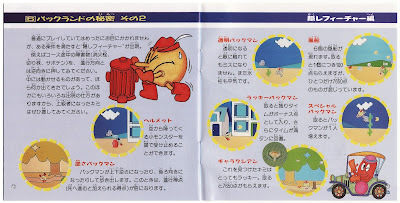 Although I've liked a lot of black-and-white PC Engine manuals over the years--the ones made for Don Doko Don, Mizubaku Daibouken and The New Zealand Story are good examples--I usually prefer a bit of color. 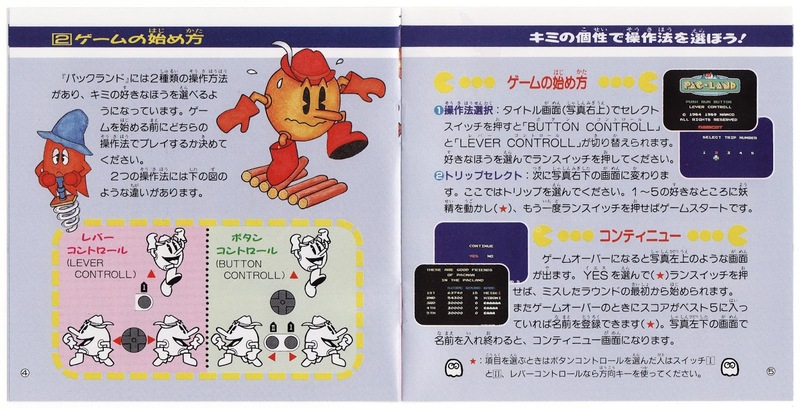 Well, there isn't a single black-and-white spread in this particular manual. Hell, there's only a couple of black-and-white illustrations--both of which can be found in the scan below. 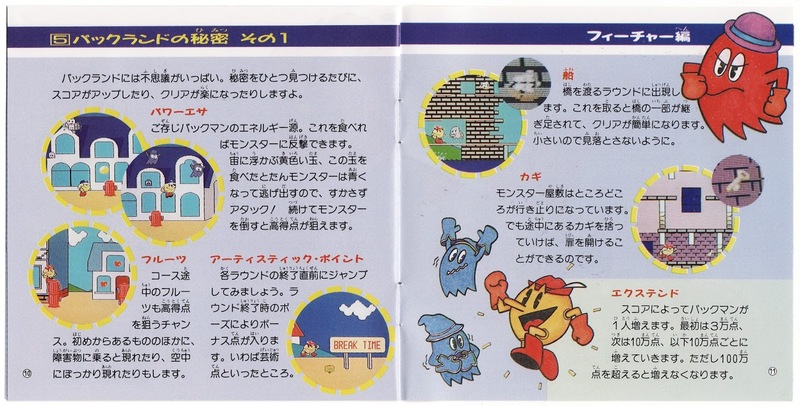 Every other page of the Pac-Land instruction booklet features illustrations awash in color. Some of them aren't of the highest quality, mind you, but as my mom's always told me, nothing's perfect. 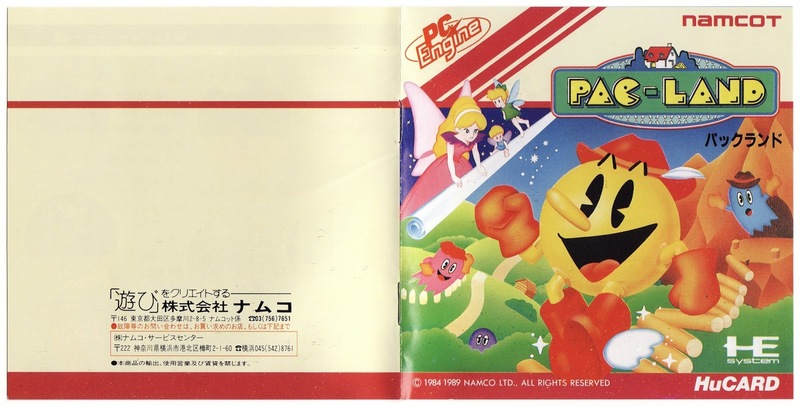 Thankfully, most of the art that's on offer here is nice enough that no one should regret spending $10 to $20 to obtain it (along with the game's HuCard and outer case, naturally). Now that I've wasted a number of sentences discussing and dissecting the quality of the art that appears in the Pac-Land manual, let's change course a bit and chat about the theme that surrounds that art. 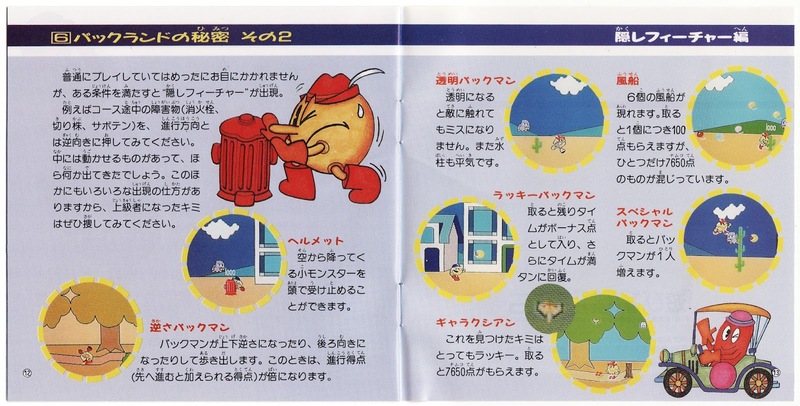 Specifically, I'm talking about the game's odd "alpine aesthetic," for lack of a better phrase. Don't see it? 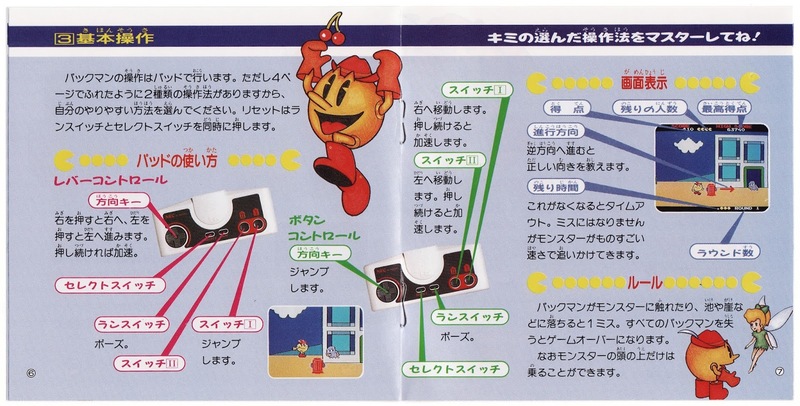 Look at every single depiction of Pac-Man in the scans shared in this post. The old pellet-chomper sports some sort of mountaineering hat in all of them. He also spends a surprising amount of time leaping from log to log and traipsing through forests and fields in this side-scrolling adventure. 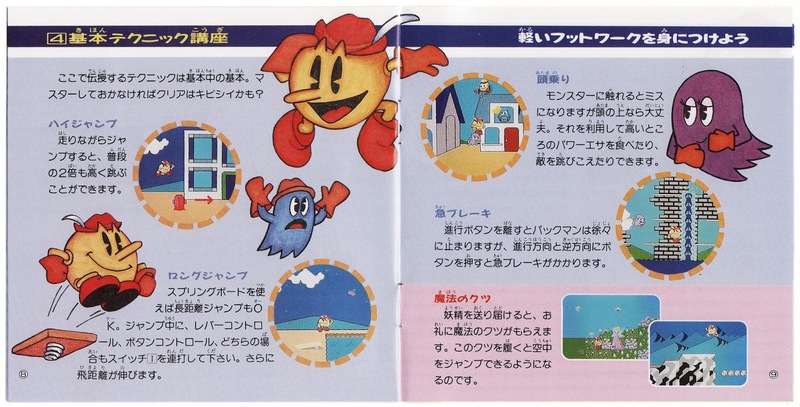 That's just a side note to the rainbow-swathed drawings and screenshots scattered throughout this booklet, though. 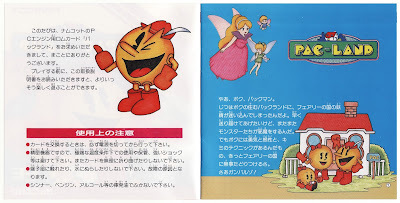 And although I can't say I like them more than the ones included in another Namco PC Engine instruction manual, for Valkyrie no Densetsu, they're better than what you'll find in less thrilling manuals--Parasol Star's is an unfortunate example--so you won't hear me complaining anytime soon.